Apart from the cases, covers and pouches, it’s even the screen protectors which do a good job in keeping the device safe, especially the screen which is prone to scratches. 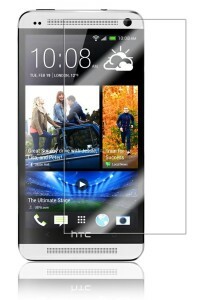 We already shared a list of the best HTC One Cases & Covers, and below is a list of the best screen protectors for the flagship smartphone from HTC, which comes with a 5-inch Full HD display which has to be protected well, because even your pocket with keys is enough for the screen to have some scratches without any protector on it. This is one of the high quality invisible films, which is made from superior quality 3-layer PET film and it does look quite transparent and clear. It is sturdy enough to resist the scratches and the normal wear, and the self-adhering surface doesn’t leave any residue or bubbles when placed. The pack that costs $5.95 on Amazon consists 3x Screen Protector, Micro-Fiber Cleaning Cloth, Squeeze card. 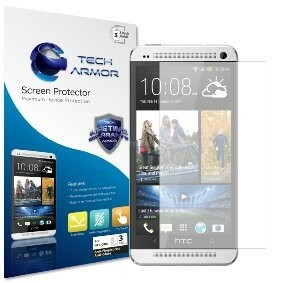 The Anti-glare and anti-fingerprint screen protector for the HTC One from Tech Armor removes all the glare and the fingerprints and ensures the maximum resolution on the screen. The TruTouch Sensitivity keeps the touch sensitivity of the screen at its best, and the PET film keeps it very adhesive and bubble-free when placed on the screen. There’s 3 screen protectors, a smoothing card, polishing cloth and a bubble removal tape in the package, costing $5.95. The screen protector from Skinomi has a good clarity which makes it look invisible, and according to the company, the protector is made using a material which is used to protect military aircraft. 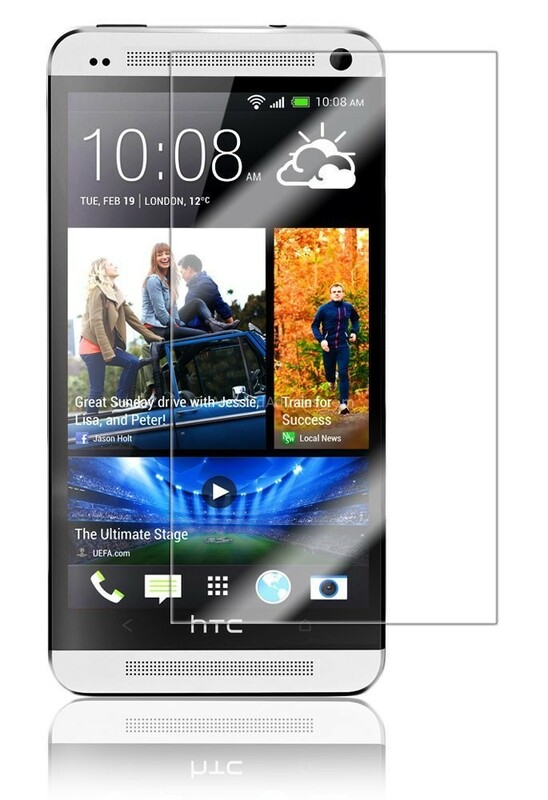 There is some patented UV protection which prevents the yellowing of the screen guard. The ability to resist high levels of abrasion makes it a better protector than the other ones. 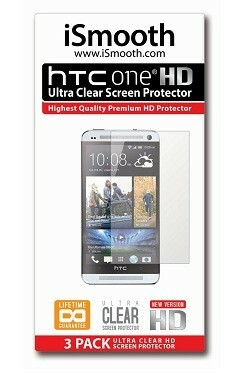 The screen protector comes for $9.95 with a lifetime warranty. The Ultra Crystal screen protectors from Spigen SGP are made to protect the smartphone screens from scratches and scuffs. This is a thicker one than the previous screen protectors and thus is scratch-proof and leaves no bubbles or residues while installing. Being oleophobic, there are no finger prints left any time. The pack comes with 2 screen protectors from Spigen SGP, one Squeegee and a Microfiber cloth for the placement of the screen guard. It is available for $13.99 on Amazon. 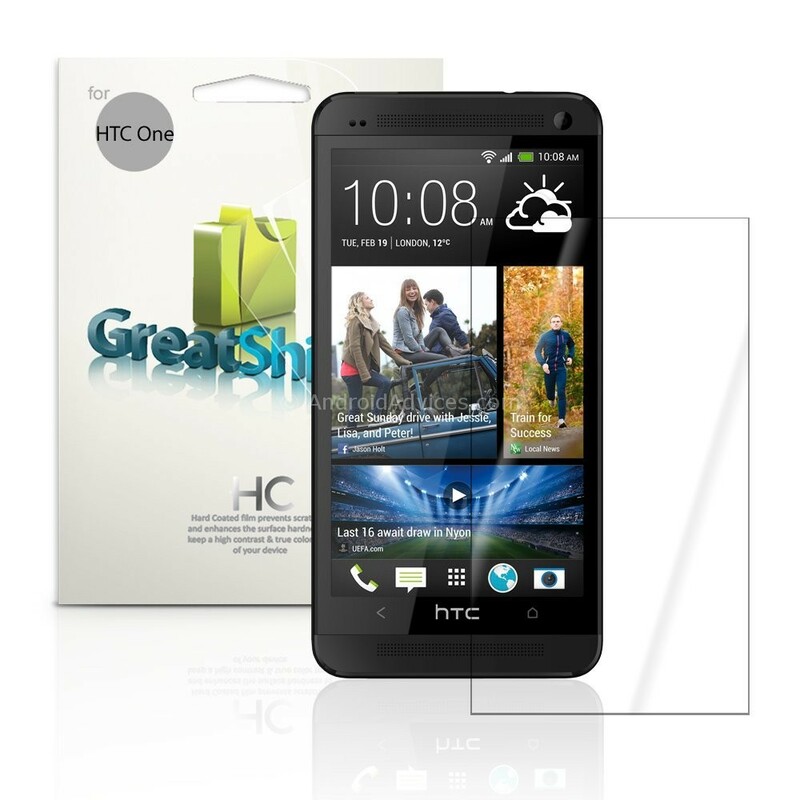 The clear screen protector from GreatShield comes with a lifetime warranty, and it is well priced with a package of 3 protectors coming for $6.99, and one of the best features of this being – It is removable and can be washed and replaced without any residues left. It resists all the dust and scratches, and is visibly very transparent. Fingerprints are quite an issue according to a few reviewers, but installing and placing it is quite easier. Along with the protectors, there’s a Micro fiber cleaning cloth provided by the company. The iSmooth brand is well known for the screen protectors for all the smartphones from different brands. 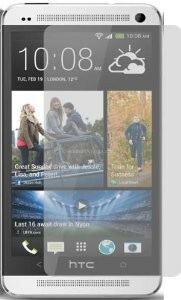 The one for the HTC One too looks pretty good with no bubbles or rainbow effects under bright sunlight, and the company is providing a lifetime replacement warranty on the screen protector. The package includes 3 Screen Protectors, 1 Microfiber Cleaning Cloth, 4 Dust Removal Stickers. It’s available for $9.97 on Amazon. The Supcase screen protectors come through the AI-FIT technology for the perfect fitting of the screenguard onto the smartphone screen based on the model. 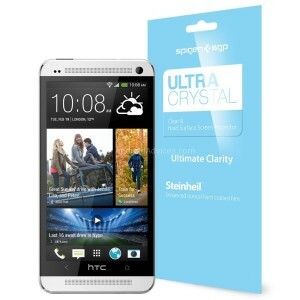 Priced at just $6.99, this screen protector is made of premium high transparency Japanese film. And just like most of the others listed above, this one comes with resistant to scratches, abrasion and the film is bubble free while placing. 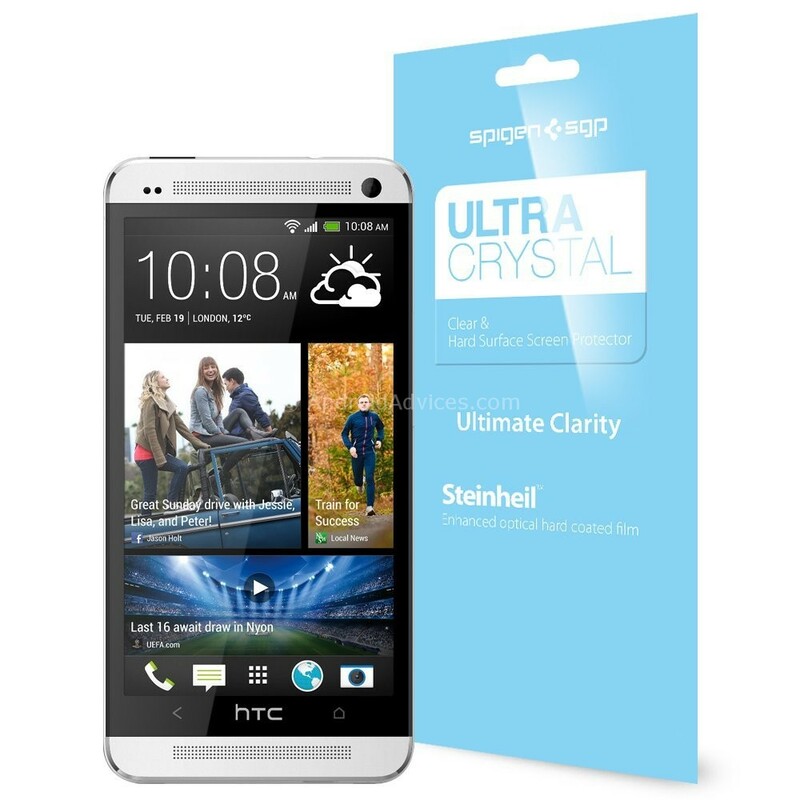 For $6.99, it’s two screen protectors that you get along with a microfiber cleaning cloth, an applicator card and a positioning label. There’s a lot more from other brands, but these are the ones selected based on the various user reviews and thus you can go for one of them based on the pricing and the number of films that come in a single pack. Screen protectors like the sapphire ones are a must….ZAGG, Stealth Lite, Rhino and 3M screen protectors are awesome. If you can’t get your hands on one, get a GEARMAXX screen protector. They sell on ebay for cheap and are as high quality and durable!